VOA 현장영어 - You have a green thumb! You have a green thumb! 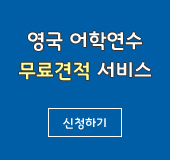 일상생활에서 자주 쓰는 영어표현을 배우는 'VOA 현장영어'. 오늘은 식물 키우기에 관한 표현을 알아봅니다. 특히 미국인들이 좋아하는 식물 중 하나가 난초에 관한 대화입니다. A: These orchid flowers look so beautiful! You have a green thumb! B: Not really! Orchids are a lot easier to grow than they look. You don’t need a green thumb to grow orchids. A: I would like to keep some orchids in my house. How often do you water your orchids? A: How can you tell if they are getting the proper amount of light? B: The leaves should be bright green. Dark green indicates too little light. Reddish green indicates too much light. A: Oh, I see. Thanks for the tips. A: These orchid flowers look so beautiful! 이 난초 꽃들이 무척 아름답군요! * Not really! “반드시 그런 것은 아닙니다.”라는 의미. Orchids are a lot easier to grow than they look. 난초들은 보기보다 기르기가 훨씬 쉬워요. You don’t need a green thumb to grow orchids. 난초를 기르는데 기술이 필요하지는 않아요. A: I would like to keep some orchids in my house. 저희 집에 난초를 좀 기르고 싶군요. How often do you water your orchids? 난초에 얼마나 자주 물을 주세요? * water ~ : ~에 물을 주다. Don’t forget to water the plants. (식물에 물 주는 것을 잊지 마세요.) ‘water’는 물이라는 뜻을 가지고 있지만 ~에 물을 주다는 의미로도 사용됩니다. 난초들이 적당한 양의 햇빛을 받고 있는지 어떻게 알 수 있을까요? B: The leaves should be bright green. Dark green indicates too little light. 짙은 녹색은 빛이 많이 부족하다는 것을 의미합니다. 이제 대화 내용 중에서 “당신은 식물을 기르는 솜씨가 있군요.”라는 표현을 활용해서 영어로 간단히 대화를 주고 받는 연습을 해볼까요? A: These plants are so beautiful. You have a green thumb! A: 이 식물들은 정말로 아름답군요. 식물 기르는 솜씨가 있으시군요! A: These orchids are gorgeous! You have a green thumb! B: Well, you don’t need a green thumb to grow these orchids. A: 이 난초들은 정말로 멋있군요! 식물 기르는 솜씨가 있으시군요! B: 음, 이 난초들을 기르는데 솜씨가 필요한 건 아닙니다. A: Do you have a green thumb? B: Oh, no. I’m all thumbs when it comes to growing plants. A: 당신은 식물 기르는 솜씨가 있으세요? B: 아이고, 아닙니다. 식물 기르는 거라면 저는 전혀 재주가 없습니다. These orchid flowers look so beautiful! I would like to keep some orchids in my house. How can you tell if they are getting the proper amount of light? The leaves should be bright green. 짙은 녹색은 빛이 너무 부족하다는 것을 의미합니다. Oh, I see. Thanks for the tips.